Here is a list of my favourite places to eat in my local area. 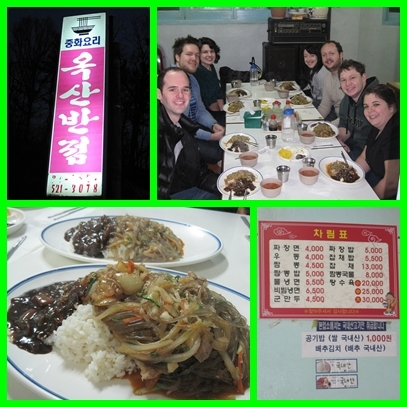 Although Changnyeong is small they are not short of eateries. I enjoy eating and it’s great when I find new places to try! We found a couple new restaurants in Masan. Little California is a cute place. 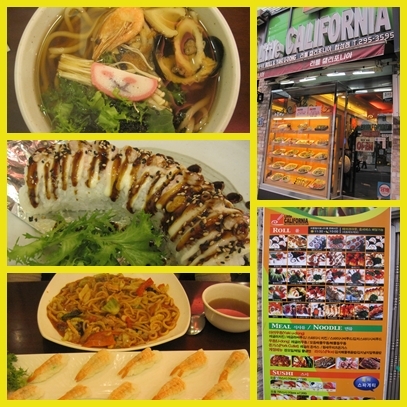 It sells a delicious selections of California -rolls, sushi, Pork Cutlet and more! Bread in the shape of poo? Yes Please! Today we ate poo! 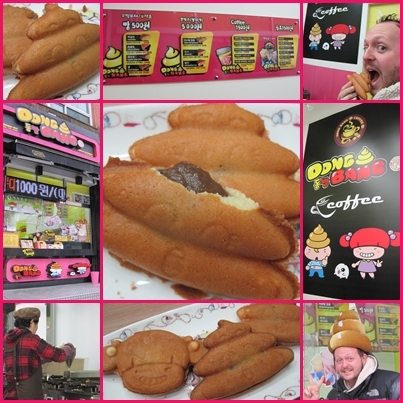 It was available in seven flavours, chocolate, vanilla, strawberry, vanilla-corn, caramel peanut, cheese and red-bean. We chose chocolate, vanilla and caramel poo and it was delicious. We look forward to eating some more delicious poo soon! Chicago Pizza is located in down town Changnyeong. It sells delicious pizzas although the hawaiian pizza did come with cherries instead of pineapple!